Okay you guys, is anyone else addicted to comfy blankets? I am currently writing this post, catching up on one of my favorite shows (The Black List. You all need to watch it! SO good!) with a big comfy blanket wrapped around me. My kids seem to have inherited my love for blankets. Beckham especially. He is such a cuddly little boy, and on those days he fights sleep I just scoop him up and wrap a blanket around us. A few minutes later, he’s out like a light. Ever since we received our Saranoni Blankets, my boys will not sleep with anything else. 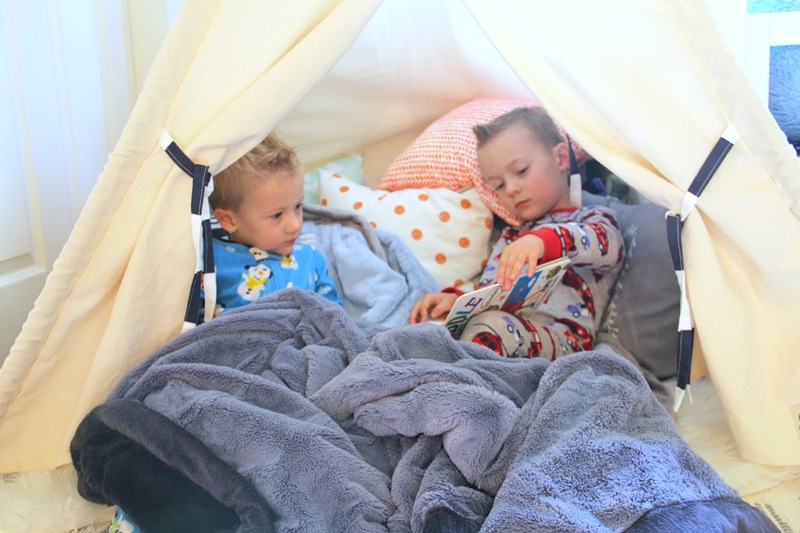 Im telling you, they are the most soft and comfortable blankets I have ever had the pleasure of snuggling my kids in. Beckham takes his everywhere, and even requests it in the car now. It is the cutest thing, and now that the temperatures are dropping I don’t mind having it on hand. Saranoni also makes blankets from swaddle to adult sizes. So if you are in need of a gift for a friend; someone with a baby on the way, or even for older kids, you can’t go wrong with these blankets! Make sure to check out my instagram today for an awesome giveaway to win one of these adorable blankets! Previous Post A sleeveless Trench Coat and $500 Nordstrom Giveaway! Your boys are seriously the cutest! What an adorable little hideaway. Aww thats adorable! <3 <3 thanks for stopping by! I am a sucker for a warm fuzzy blanket! I have 2 leopard ones on my couch with me at all times! My daughter has inherited my love of them as well. 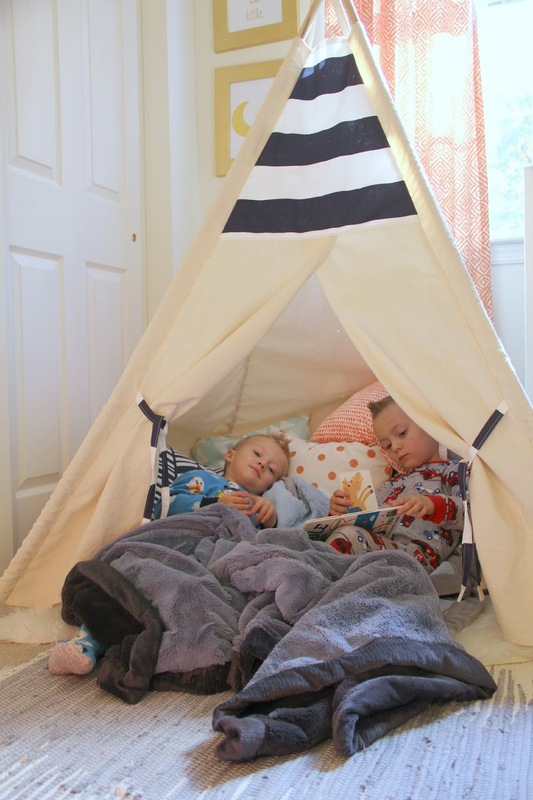 And I have got to say your boys are so darn adorable and I love that teepee tent! Awe so cute! isn't it the cutest? Thank you so much!